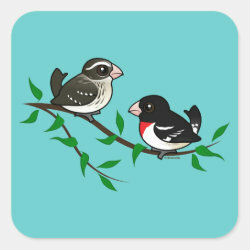 Rose-breasted Grosbeaks are named for both their powerful beaks and for the splash of bright red found on the male. 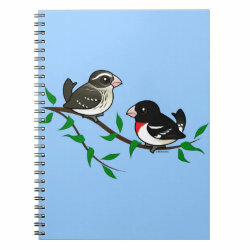 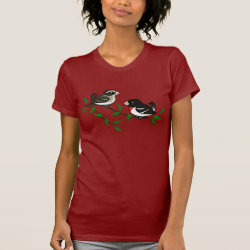 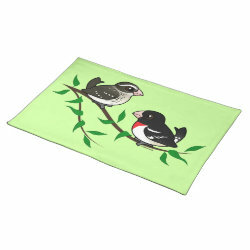 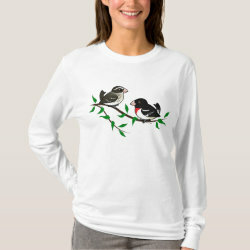 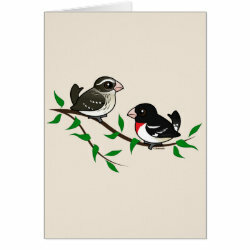 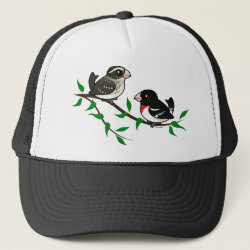 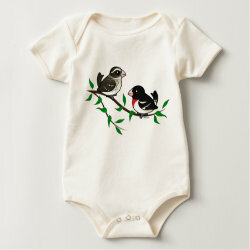 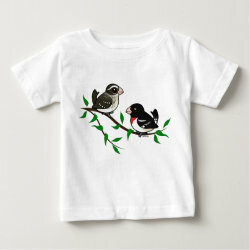 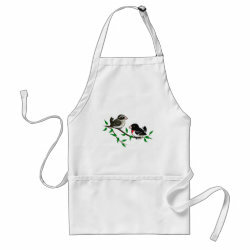 Female plumage is very different, as you can see in this cute design featuring a male and female Birdorable Rose-breasted Grosbeak. 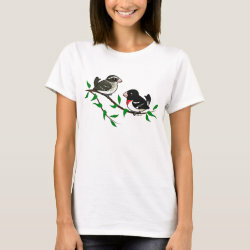 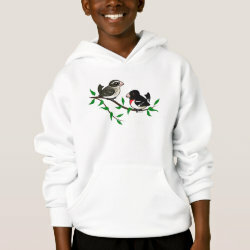 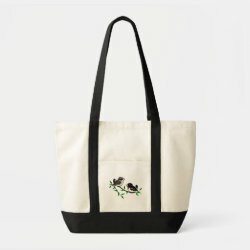 This original design is perfect for anyone that loves this gorgeous migratory songbird species!